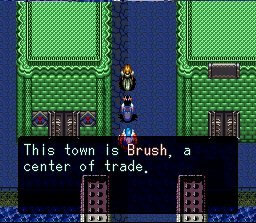 Image courtesy of The 7th Saga by Enix. I’m taking this post way back to the 90s to talk about The 7th Saga! On the console Super Nintendo (SNES). 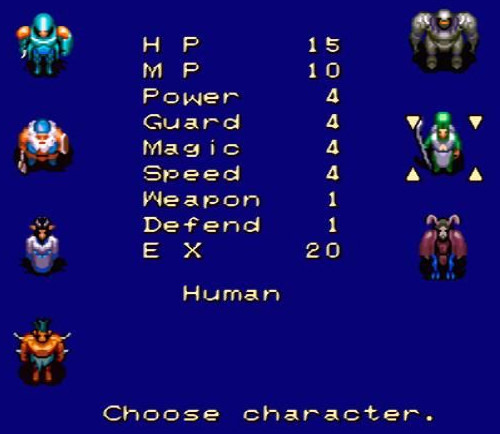 Some of you may remember this game if you were into turn-based strategy RPGs. This game was very similar to the Final Fantasy series by Square Enix. Here is some background information before we get into the gameplay. 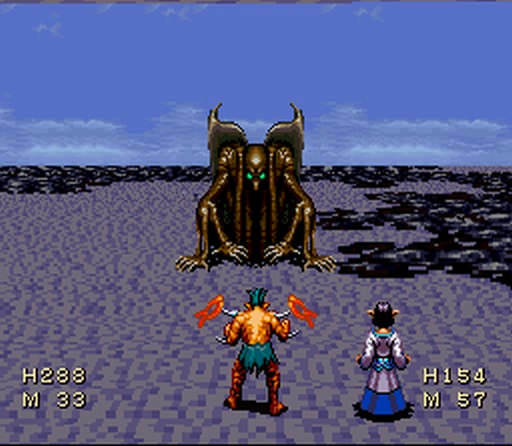 The 7th Saga was released in North America on August 3, 1993. It was developed by Produce! and published by Enix. Now, Enix may sound very familiar since above I mentioned Square Enix. Square and Enix were competing companies that decided to merge in 2003. The game is pretty much about your character embarking on a quest to find the seven crystals that are hidden throughout the land of Ticondera. You can read a more in-depth description at Wikipedia. It was a favorite of mine as a child, even though the game was very difficult to play as a child. Even my brother and I, together, were not able to beat it. The artwork was decent for a game of its time. The music was beautiful and relaxing in many parts of the game. At the time, I played The 7th Saga and Final Fantasy III (FF3) on the SNES. I actually liked The 7th Saga more because of the gameplay. I found that exploring the cities in The 7th Saga was more exciting than in FF3. I definitely think that Square and Enix made a great decision in merging because I feel that all the Final Fantasy games became much better with two great RPG companies putting their ideas together. What are your thoughts on The 7th Saga? Did you like it better than Final Fantasy? Let us know in the comments!